Westrigg was one of the best B&B’s on my walk (with some stiff competition) and served up such a damn fine breakfast that we happy three couldn’t stop eating. When we finally groaned, “Enough already,” struggled to our feet, waddled out of the dining room, packed and said goodbye to our hosts it was 10am – an anxiously late start for me. 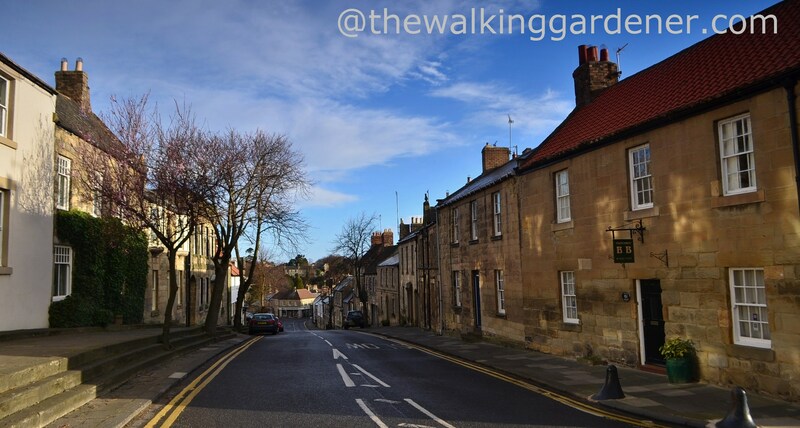 Jim and Tracy aren’t your early bird types anyhow, so my 8 am-ish starts would be a thing of the past, I thought darkly, as we walked the mile into Warkworth on yet another perfect spring morning. Same old, same old. 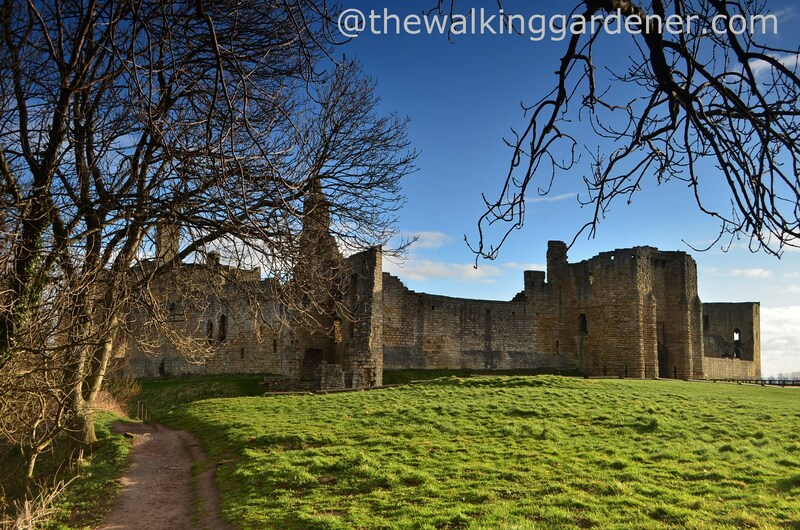 C14th Warkworth Castle is a beauty and was home to the powerful Percy family who also owned nearby Alnwick Castle – the very same Percy clan as the brave, resourceful and terribly clever Lord Percy Percy in Blackadder II. 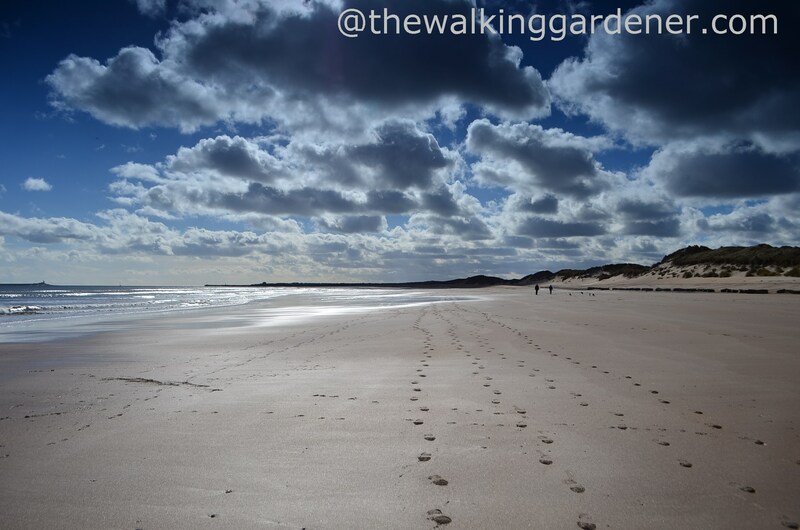 I liked Warkworth very much (and, in the months since, I’ve checked house-prices on Rightmove far too often). It sits above and within a loop of the Coquet river – which I had followed the day before but now regretfully left behind. 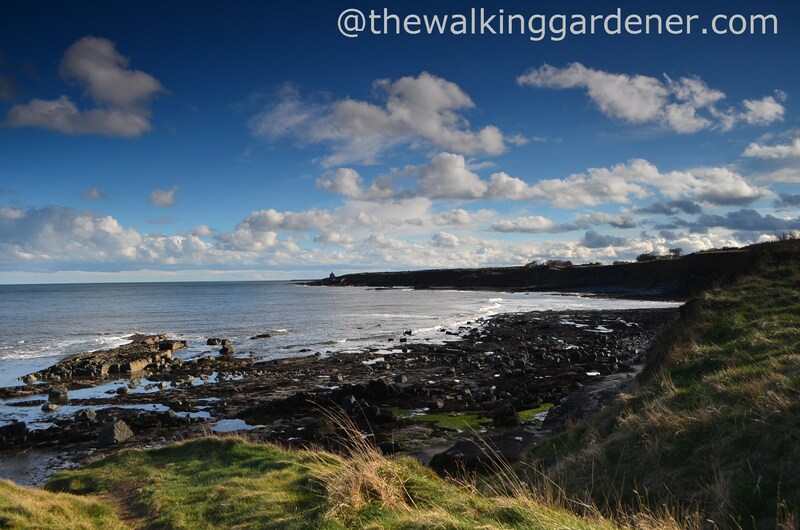 Its journey done, the river empties into the North Sea at nearby Amble. Our friend Jonquil was waiting for us in the town centre and, after hugs and stuff, the four of us headed out to the beach. All of today’s walk would hug the coast. And what a coast, what a beach. 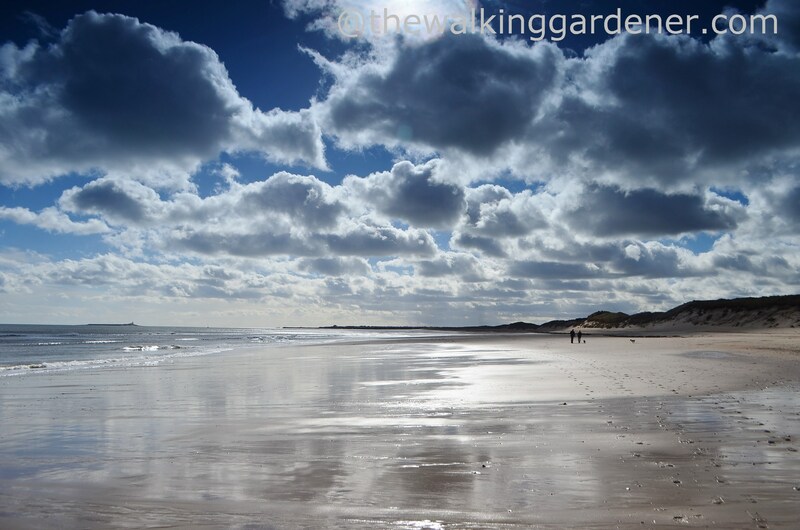 Firm, golden sand is perfect, easy walking and we fanned out for some serious nattering. 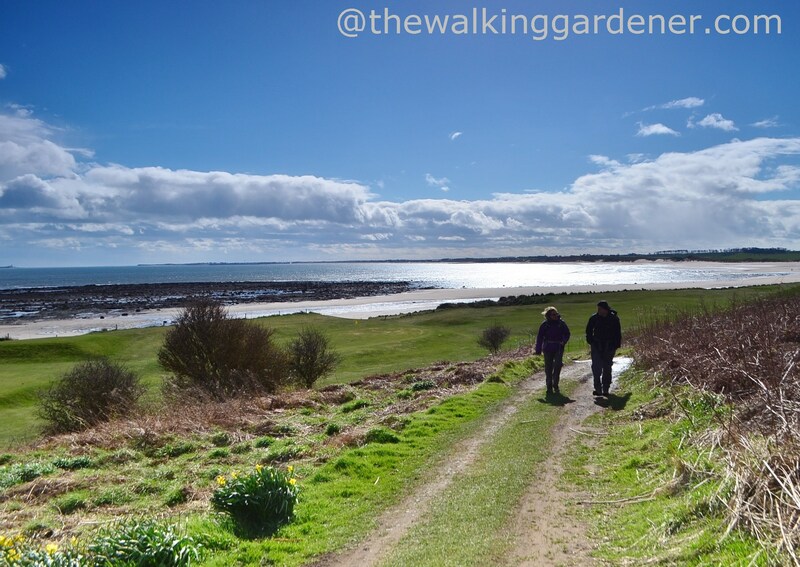 This was one of the finest coastal walking days I’ve undertaken and, if you’ve done it yourself, I suspect you’ll agree. But it was a long day. 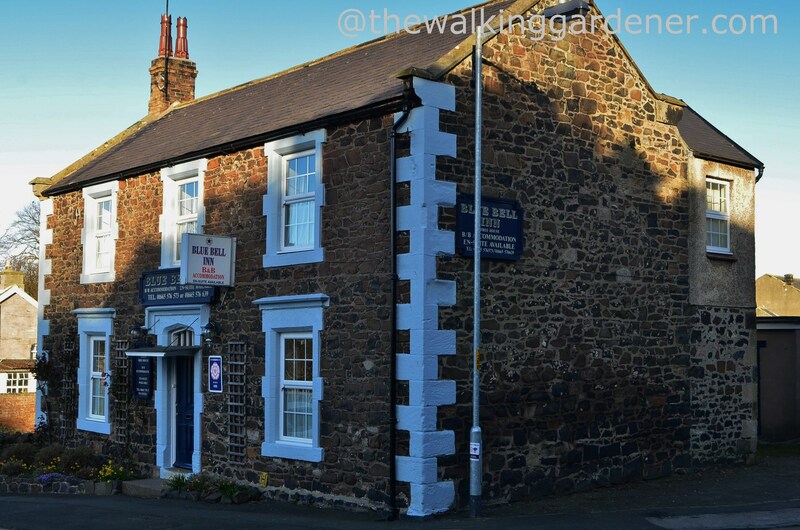 Tracy – who booked all the accommodation between Warkworth and Berwick – struggled to find B&B’s with both a single and double room available over a weekend and for one night only. 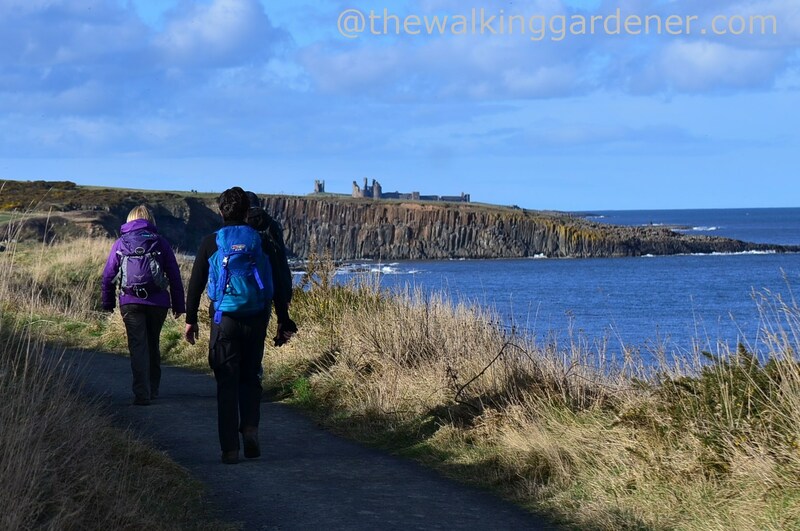 My original plan had been to walk only as far as Craster today but, unable to find anything suitable there, we would press on to Embleton – an impressive 19 mile first day for my friends. At day’s end, Jonquil would be whisked away from our interminable chatting by her Dad. 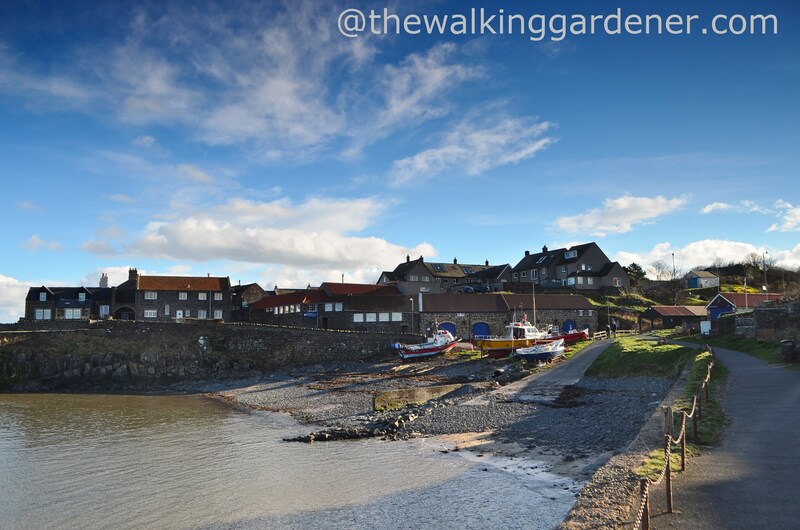 Shortly after setting out, we approached pretty Alnmouth and detoured around the mouth of the River Aln to enter the town from the west. 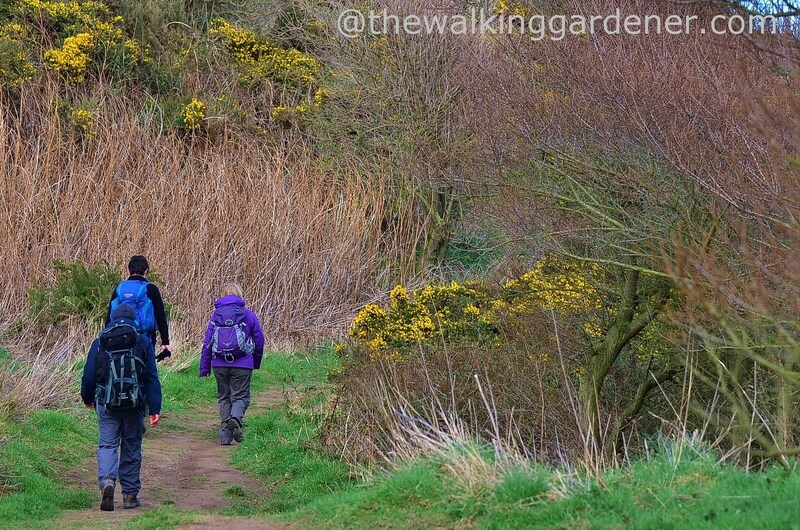 We paused for breath, had a very quick look about and headed out to rejoin the coastal path. 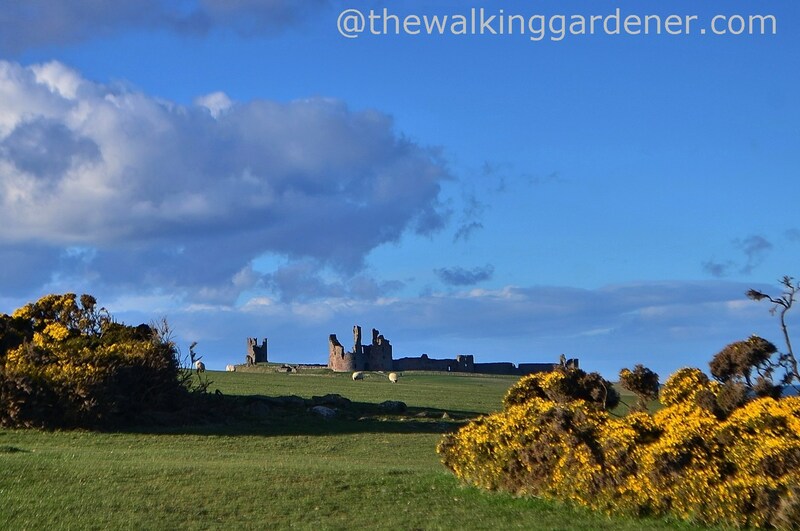 Ridiculously romantic Dunstanburgh Castle would lure us on for most of the afternoon. It crouched teasingly on a final spur of the Whin Sill: seemingly close but always distant – if less so with a telephoto lens. 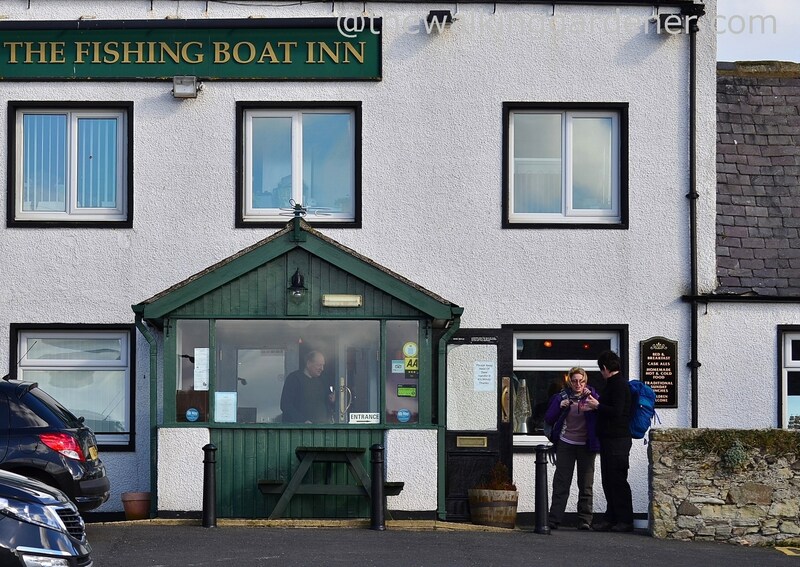 We charged hungrily in to The Fishing Boat Inn, Boulmer for a superb (not slimming) lunch assortment of fish and chips, crab sandwiches and beer. We left rather more rotund than on arrival. before scampering to catch up with the group. At one point, we watched an arcing dolphin for some minutes – only the second time I’ve seen them wild. Sadly it remained too distant for any meaningful photo. 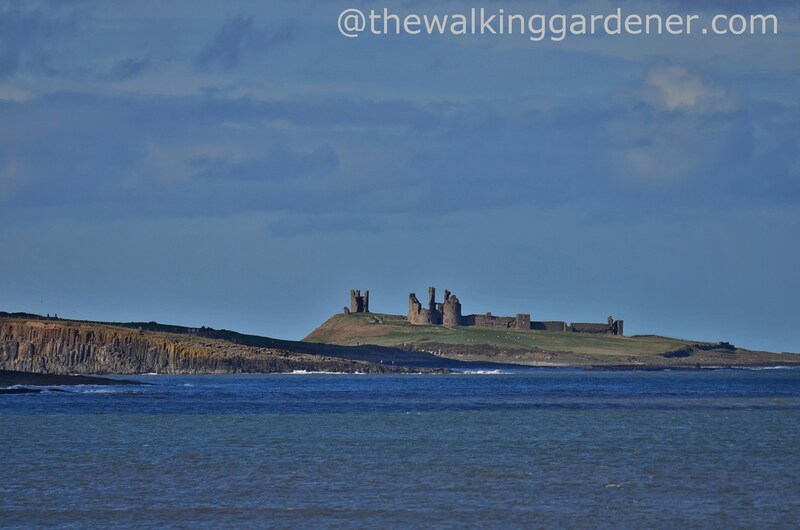 Another view of Dunstanburgh (but then it does magnetically draw the lens) – again brought close by telephoto. In reality it was still aloof, still quite distant. I know I rave about this day’s walk but it was marvellous, helped by a fine pub lunch and good company. and is justly famous for kippers. I didn’t sample any on this trip but in July 2015 I forged a lifelong, doe-eyed attachment. 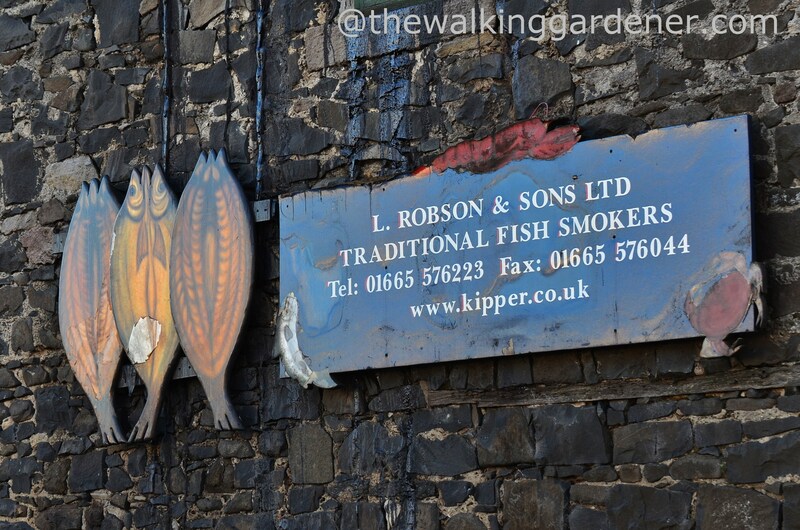 I’d never quite understood the appeal – the point even – of kippers but I do now. 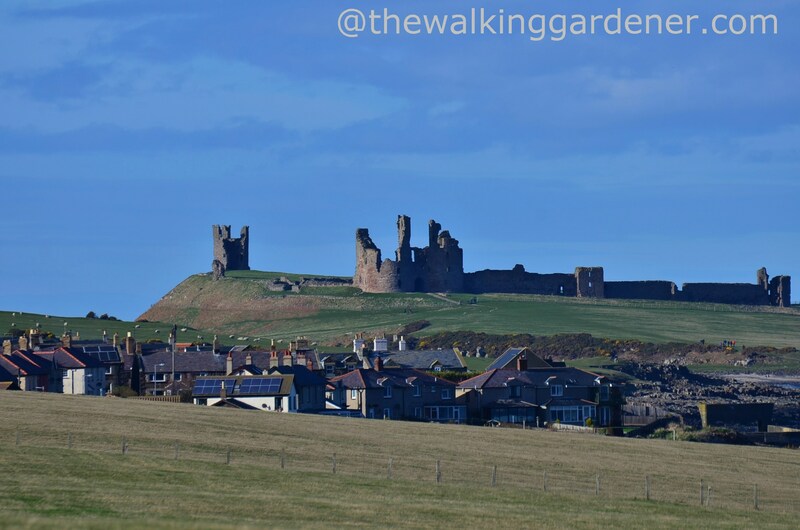 And especially those from Craster which, frankly, are bloody-fan-bloody-tastic. As we pulled out of the village it was gone 4 o’clock and we still had several miles ahead of us. Craster marks a perfect end to this stage and I recommend staying here (if you can find a room). The mirage castle was now before us. 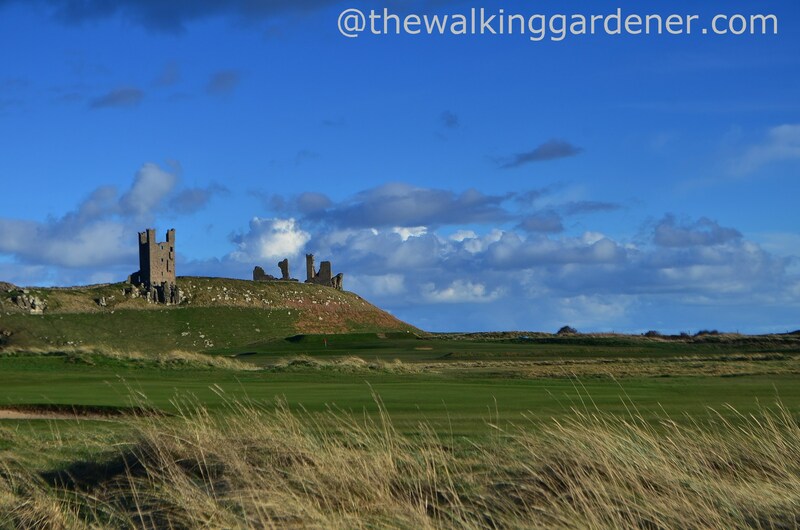 Earl Thomas of Lancaster built Dunstanburgh in 1313 as a stronghold against King Edward II – with whom he had had a tiff. But it didn’t much help him. Foolishly marching out to give battle, Thomas was defeated at Boroughbridge, captured and Edward chopped off his head in 1322. He should have stayed at home … as I most certainly would have done; honing my watercolour or crochet skills. Making war on your king is seldom sound practise. 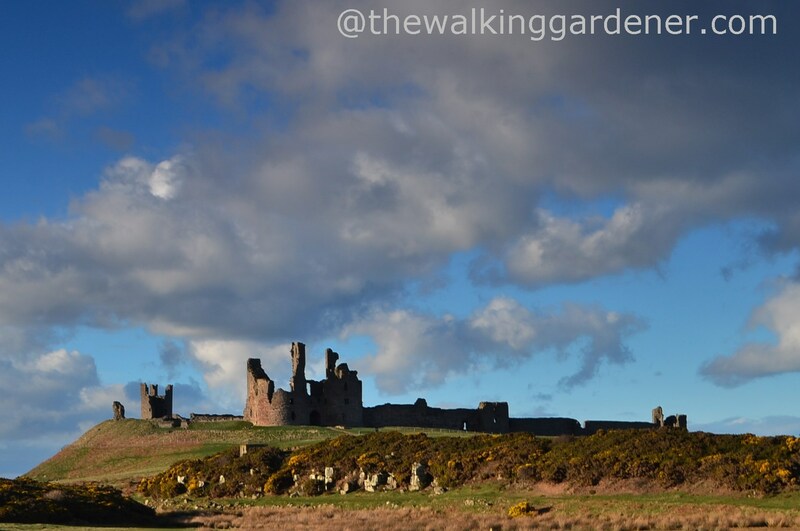 Dunstanburgh must be the most dramatic and beautifully situated castle in the kingdom. Don’t you think? (And I needn’t mention the heated altercation on our approach between several walkers – ourselves included – and the oblivious, arrogant owners of a sheep-worrying terrier. Drat, just did). 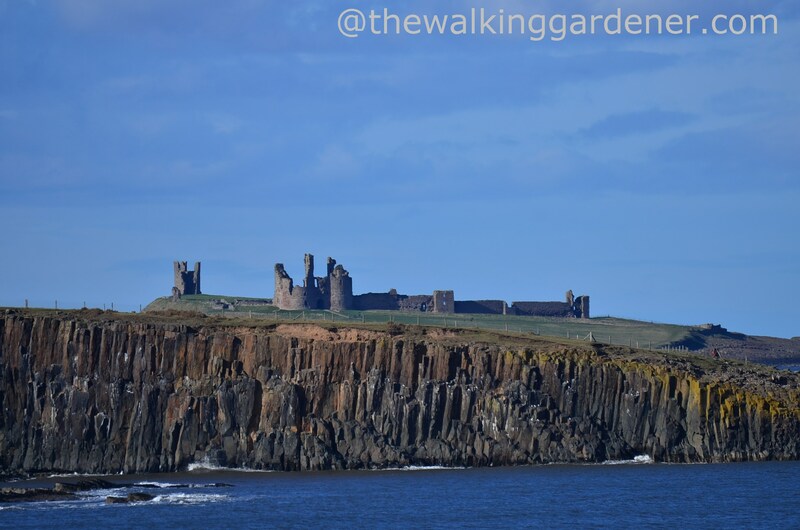 We had no time to visit the castle today but I returned in the summer of 2015 to explore it properly; climb its ramparts, watch swallows nesting in the walls and kittiwakes on the cliffs below. and passed Newton Pool Nature Reserve. 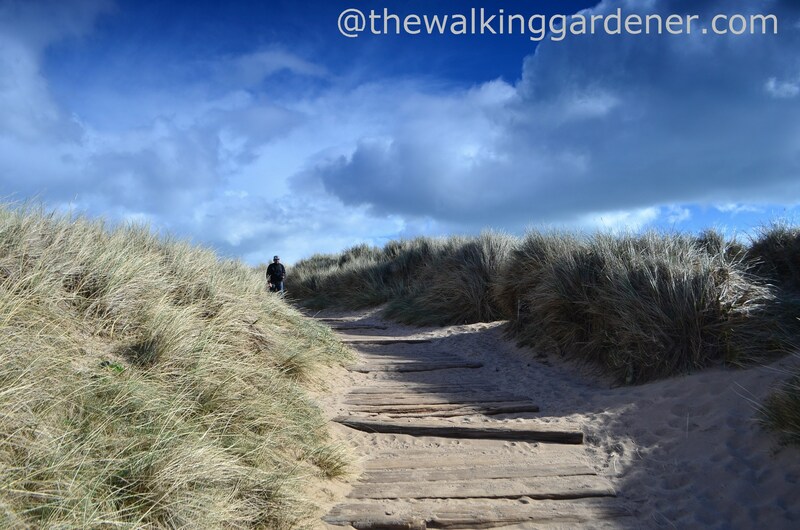 Then there was a final steep obstacle – a tiring-after-18-miles string of sand dunes – before the last inland mile to Embleton. It was almost 6pm and we were all weary. Jonquil’s Dad was waiting patiently (we were later than planned) as we said our goodbyes. I’ve known Jonquil for over thirty years but see her far too infrequently. 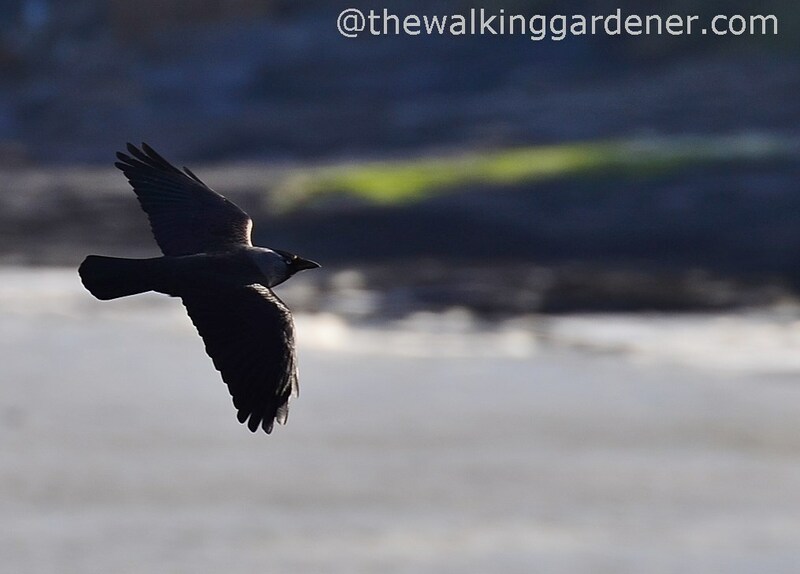 We would see her once more before returning to Sussex but spending a day with her had been a real treat and I even forgave her explicit – but unfulfilled – promise of seeing seals. 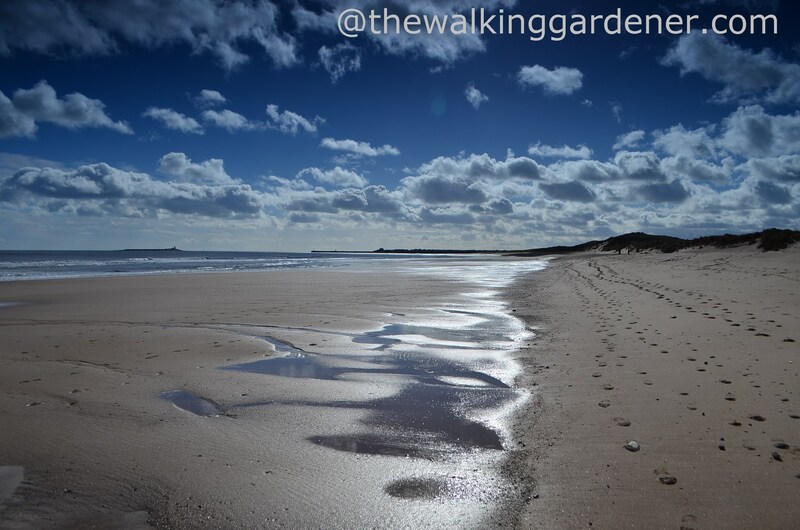 Tomorrow would be short, after covering so many miles today, but we would continue to follow this smashing Northumberland coast under a warm, bright sun. Do you know what? I might just get used to this walking lark. *That bit about a single sherry isn’t strictly true. March 2014! This is so encouraging when I consider my backlog of walks to be written up. Still, better late than never. 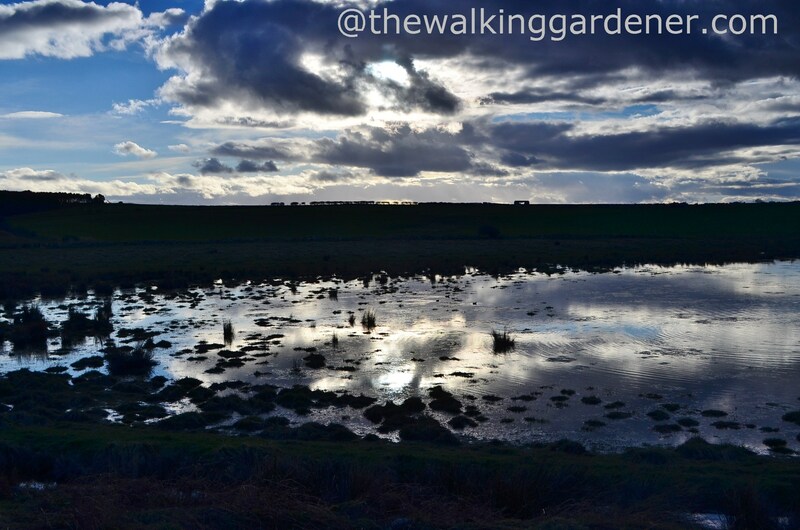 Fab walk and pics as ever. I worried about the depth of your footprints on the beach. That’s energy sapping terrain, my man. I’d be looking for firmer stuff. One small sherry. That’s very funny. Dave, your photos are always beautiful, but these absolutely glow. If photos could purr, these would be purring. Loudly and contentedly. Really magical. I shall follow your advice and make no wars on kings. (Today.) Easy to avoid from here, really. 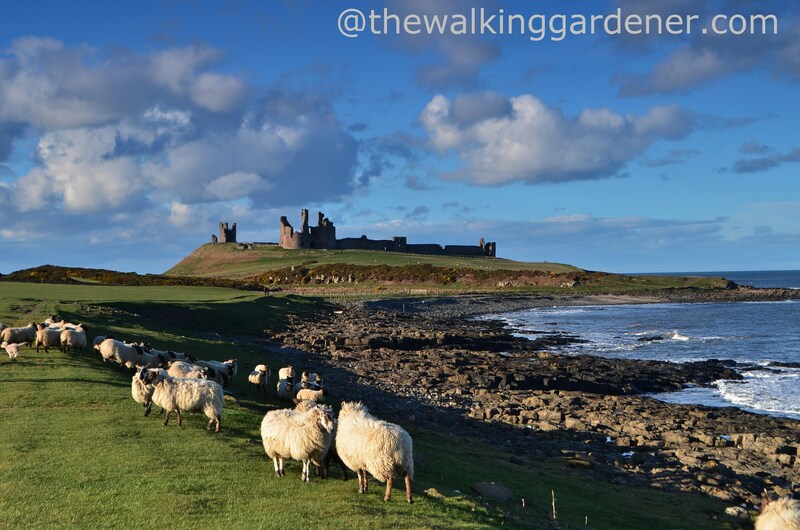 This walk looks absolutely idyllic…Shall be looking into how to do it in future…Dunstanburgh Casle seems like fairy tale embodied… Your photos are really a delight…Have you thought about doing a book about your rambles, or perhaps a series? 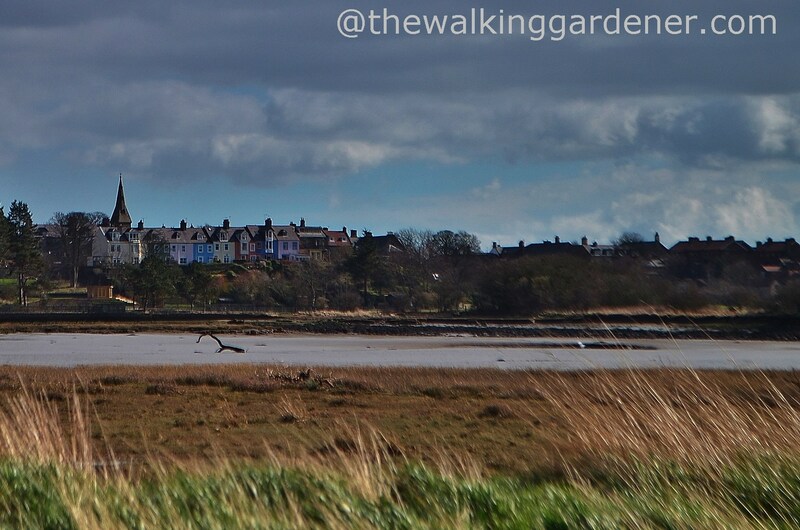 Wondering, is this area very far from Lindisfarne? Also like your comment about sherry. Don’t drink it often, but who can have just one glass, esecially in good company?